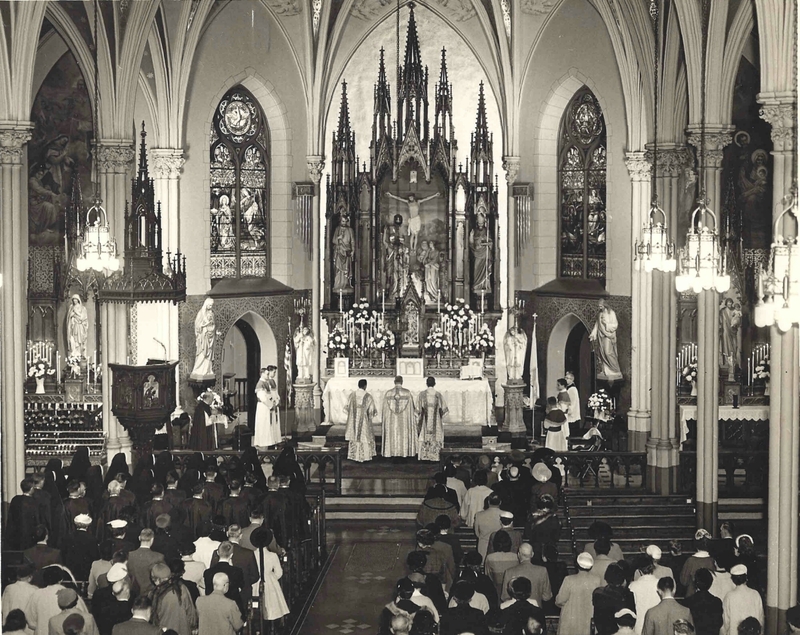 I’m sincerely beginning to believe that some baby boomer Catholics are making a concerted effort to undermine the resurgence of the Latin Mass with such “memories” as this one. The comment above is unfortunately a rather common occurrence on social media these days; a recollection that is invariably shared each and every time an attempted discussion of the traditional liturgy begins. 2. …when do you acknowledge that you, your parents, or your parochial instructors, failed in their obligation to catechize you? Many of us today still utilize the Baltimore Catechism and traditional children’s Latin Mass missals to educate our kids in the faith. Both are pre-conciliar works. Someone was buying them back then to teach an entire generation about the faith. Apparently the boomers in social media who so greatly detest the Latin Mass somehow missed this formation. 3. It’s interesting that such amazing nineteenth and twentieth century saints like St. Bernadette, St. Therese, Bl. Pier Giorgio Frassati, St. Maximillian Kolbe, St. Padre Pio, and St. Edith Stein managed to attain personal holiness and demonstrate heroic virtue despite having only that confusing Latin Mass. 4. It’s also interesting to further note that rectories, seminaries, and religious orders boomed in the twentieth century, hitting their highest levels in the 1950’s and early 1960’s despite the fact that (as some try to claim today) no one understood the Mass and were left in the dark, lacking spiritual fulfilment from the very source and summit of the faith. Frankly, none of this narrative jives. This isn’t to say that uninspired Low Masses were never offered (because minimalism will always exist), or that some children were not subjected to deficient religious formation, because that will always be a struggle since fallible humans are responsible for passing along the faith. But the contention that Latin Rite Catholics were confused and stymied by the Mass of the Ages, the “most beautiful thing this side of heaven”, is nothing more than anti-Catholic hogwash.